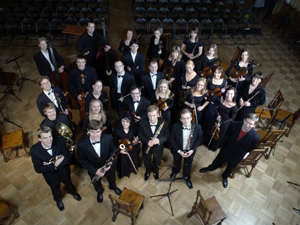 Sinfonietta Rīga was formed in 2006. The orchestra of 34 young musicians is led by artistic director, oboist and conductor Normunds Šnē. Sinfonietta Rīga's musical direction and repertoire development are based on two principal aims: to pass on the rich traditions of music to the next generation of performers and audiences and to enlighten their listeners by presenting a thoroughly modern selection of works. The orchestra has performed with such soloists and conducters as Baiba Skride, Patrick Gallois, Roger Muraro, Martin Grubinger, Kirill Troussov, Alina Pogostkina, Peter Donohoe, Claudia Barainsky, Monica Groop, Sigvards Kļava, Heinz Holliger, Christoph Poppen and Juha Kangas. Both in 2007 and in 2008, Sinfonietta Rīga received the the Great Music Award of Latvia.